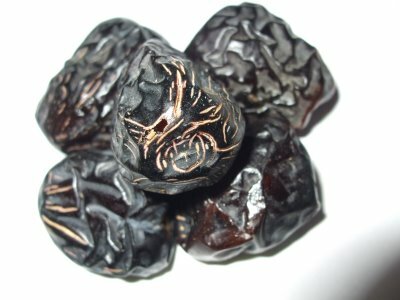 Ajwa (عجوة) is a soft dry variety of date fruit from Saudi Arabia. It is cultivated at Madina . 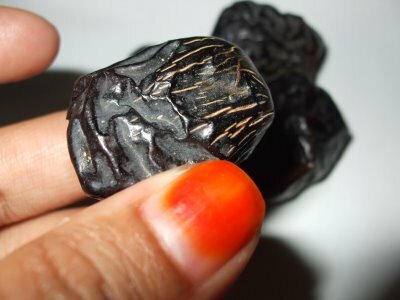 A delightfully soft and fruity date with fine texture. These dates cost around 70 Saudi Riyals per KiloGram. There are also “imitations” or some sold an inferior quality dates and “conned” the customers as “AJWA dates” To know whether its AJWA, look closely at the dates. There are very fine white lines on the dates.